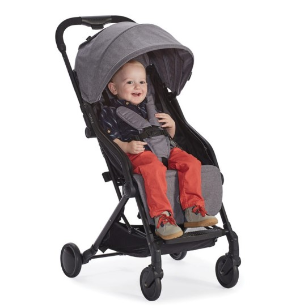 Albee Baby offers Contours Bitsy Compact Fold Stroller, 20% off via coupon code APR20 . No sale tax except GA, NV, MI, NY, NJ, WA, PA, NC and SC. Features: Ultra-lightweight at 13.5 lbs; One-handed compact fold; All-wheel suspension for a smooth ride; Full-size reclining seat for comfort; Large canopy with expandable visor for maximum coverage; Reclining seat with adjustable leg rest; Aluminum construction; Compact standing fold for easy storage; Fits in most airplane overhead compartments; Adapter-Free car seat compatibility, compatible with 30+ infant car seat models.